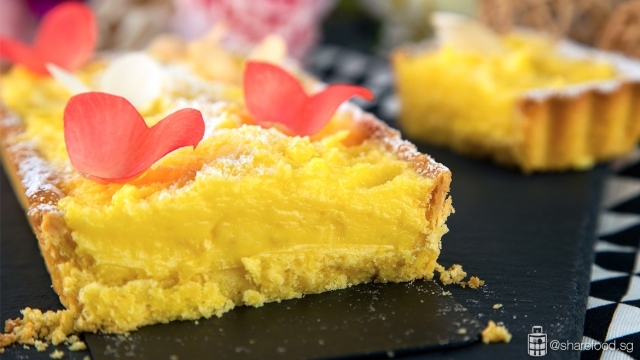 Light, refreshing and citrusy, this baked lemon tart will have everyone back for seconds! 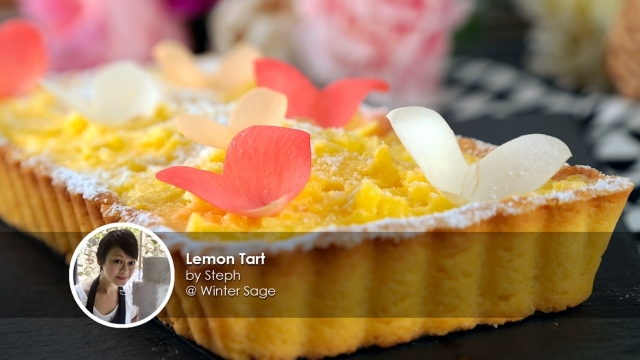 This timeless Lemon Tart recipe is shared by home baker Steph and it's one of the best. Having a strong influence from a Eurasian and Peranakan background, she believes that what's most important is not the number of ingredients but creating dishes with your heart. Home baker turned baking instructor, Steph sells her bakes and also conducts baking classes at Winter Sage. The lemon tart is zesty, creamy and light - it is completely heavenly! Best thing is that it's simple to make and you can make it ahead of time for parties or gatherings. Light, silky lemon curd filling with a homemade pastry crust! This could probably the simplest recipe to make the perfect Lemon Tart. 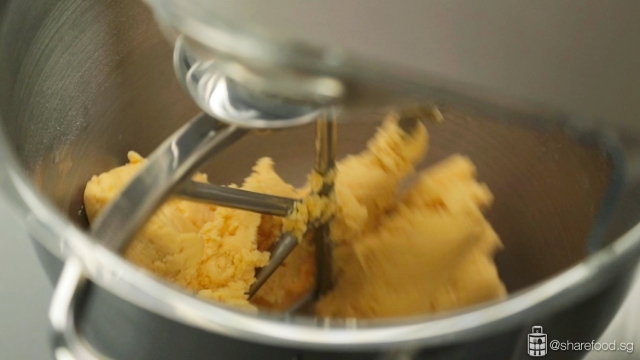 For starters to make the crust, we're using Kenwood Chef XL Titanium stand mixer. The unique folding function helps to mix ingredients well without losing air and the different varieties of speed allow you to be in control. This stand mixer is the most ideal for home cooks and bakers or who love to explore different techniques in creating a dish. The unique folding function helps to mix ingredients well without losing air and the different varieties of speed allow you to be in control. 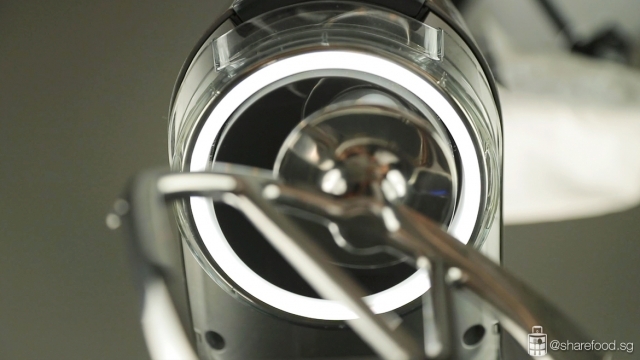 This stand mixer also has a spotlight function that illuminates the mixing bowl for you to view the process better. Place flour, butter and icing sugar into the mixing bowl and mix till ingredients are well combined. Add in egg yolks one by one. Next, add in water slowly until the dough becomes a doughy texture. On a flat surface, sprinkle flour and knead the dough for 30 seconds. Place the dough in a cling wrap and chill for 30 minutes. Remove dough from the chiller, roll out the dough and line it over a pie tin. Trim the excess dough and prick holes onto the base with a fork. Next, chill it for another 30 minutes and it's ready to be baked. Place parchment paper and rice grains over the tin. 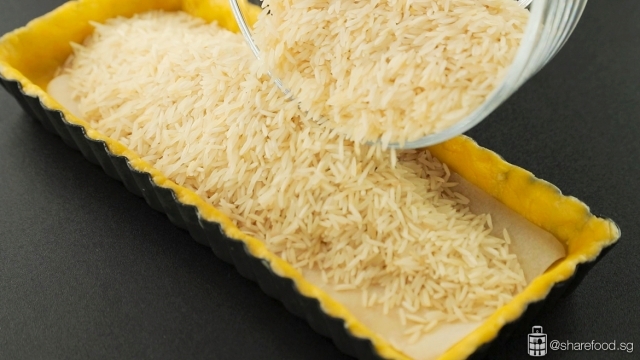 Transfer to the oven and bake for 10 minutes, remove paper and rice grains and continue baking for another 15 minutes. This process is called blind-baking also known as pre-baking and prevents the pastry from becoming soggy after the filling is added. This blind-baking process prevents the pastry from becoming soggy after the filling is added. Place parchment paper and rice grains over the tin. 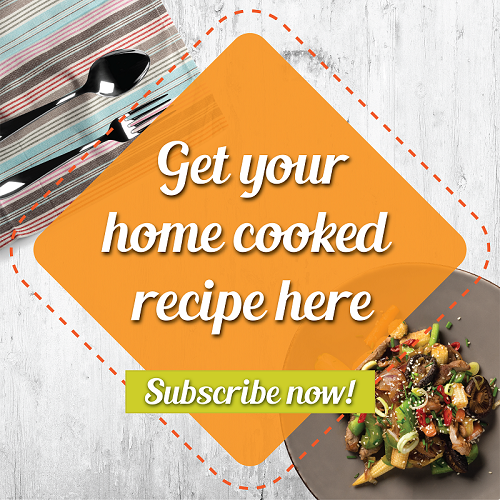 Transfer to the oven and bake for 10 minutes, remove paper and rice grains and continue baking for another 15 minutes. This process is called blind-baking also known as pre-baking and prevents the pastry from becoming soggy after the filling is added. The Bain Marie technique is an easy method to achieve a smooth consistency for the lemon filling. For the lemon filling, we're using a double boiling technique called bain-marie. It is an easy method that gives you a smooth consistency for the lemon filling. 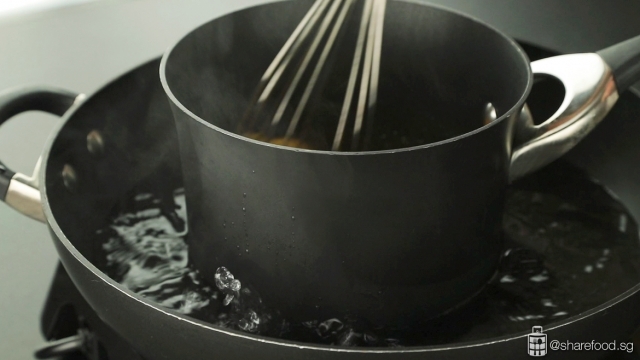 In this process, a pot is filled with water and when it is heated a cloth is placed in the middle. Next, a smaller pot is placed on the cloth. Pour in eggs, sugar and whisk over low heat. When the mixture thickens, pour it over a sift to remove clumps. Add in butter and stir till soft and creamy. Lastly, add in the lemon zest and fill it in the pastry case. Garnish with fresh flowers and sprinkle some icing sugar. 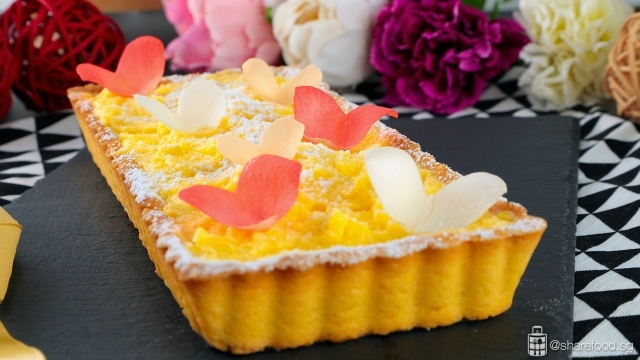 The lemon tart is zesty, creamy and light - it is completely heavenly! This treat is perfect for entertaining and gatherings! Delicate in flavour, the lemon zest adds just the right amount of tang to this classic timeless lemon tart! This treat is perfect for entertaining, gatherings and well we wouldn't mind having one all to ourselves. Light, refreshing and citrusy, this baked lemon tart will have everyone back for seconds! This timeless Lemon Tart recipe is shared by home cook Steph and it's one of the best. 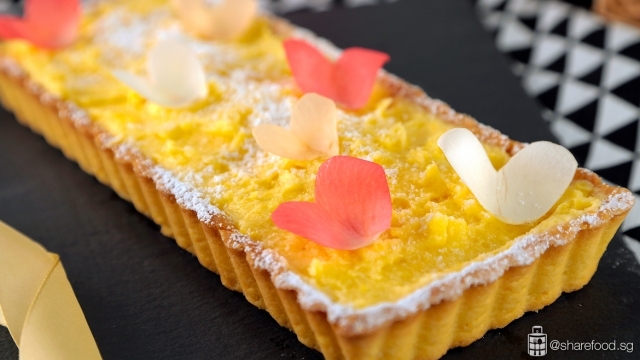 The lemon tart is zesty, creamy and light - it is completely heavenly! Add in lemon juice, stir continuously using a spatula to prevent curdling. If you're using a whisk it will incorporate air into the curd and reduce the lifespan of the curd. It will take 30 minutes for the mixture to thicken. The mixture is at the perfect consistency when you use a spatula to part it in the middle and the mixture stays for a while.